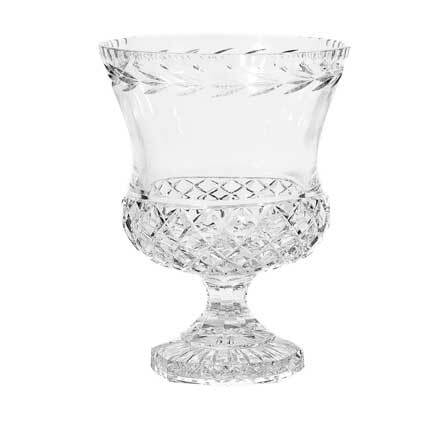 This cut crystal vase is perfect for centerpieces and floral arrangements especially on tables with other crystal accents. It also can be used with floating candles or even on a buffet to hold candy. Trophy vase is 11" tall with 8" diameter mouth.